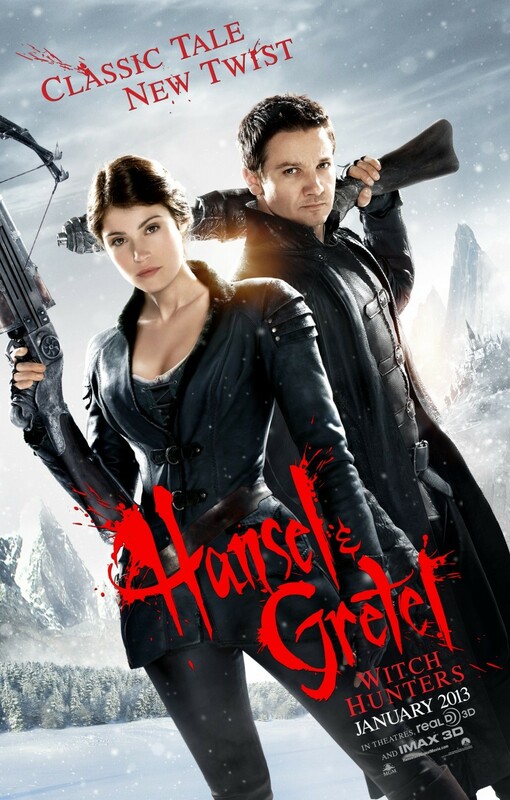 In this spin on the fairy tale, Hansel & Gretel are now bounty hunters who track and kill witches all over the world. As the fabled Blood Moon approaches, the siblings encounter a new form of evil that might hold a secret to their past. A rarely funny spoof that's heavy on bone-crushing and blood-gushing. The movie has been sitting on the shelf for a while, and like, say, a house of candy you might find in the woods, it's gotten a bit stale. This may be the longest 90 minutes you ever spend in a theater. You've been warned. Even if he's slumming, Renner gets it best: his dry delivery fully acknowledges the movie's ridiculousness. If you're planning on entering this fractured fairy tale, you'll want to follow his lead. While the film rarely provokes any strenuous eye-rolling, it also can't drum up even the slightest interest in the fate of its characters, let alone suspense. The film isn't funny enough for comedy or scary enough for horror, and the anachronisms are ludicrous. ...a comic booky ride, but not enough fun to build a franchise on. Even skillful actors, such as Jeremy Renner, can't rescue this silly, poorly executed retelling of the classic fable. Despite aiming for a deeper character story, Hansel & Gretel: Witch Hunters only succeeds as mindless and bloody entertainment - thin as its fairy tale source material. Hansel & Gretel: Witch Hunters is big, LOUD and stupid. For those who care to look past the obvious silliness of the whole affair, there's actually some weird but quality craftsmanship at work. It's lowbrow, it knows it, and that makes it a nice, kind of tawdry fun. It wants desperately to be on the same level as Sam Raimi's slapstick horror Evil Dead trilogy, but it's nowhere near as fun or clever. Recalling the best...and worst, of Sam Raimi's ridiculously fun Evil Dead trequel, Army of Darkness while falling into the traps of most mainstream Hollywood hackwork, Hansel and Gretel: Witch Hunters belies its bungled release history. By any serious measure, "Hansel & Gretel: Witch Hunters" is not a good movie. ... Yet I found this jumbled hodgepodge strangely entertaining. It's not awful-certainly not as stupid as Abraham Lincoln: Vampire Hunter. But that's a very low bar to clear. Hansel and Gretel: Witch Hunters packs one out-of-left-field surprise, but it arrives during the opening credits, and the delicious twists dissipate as the film trudges along. Playing his film with a constant wink and nod Wirkola spends Hansel & Gretel's running time balanced on a knife's edge and juggling flaming chainsaws while doing it. He never falls although he does frequently stumble quite badly. Tommy Wirkola's film suggests A Knight's Tale as penned by Seth MacFarlane. There are precious few surprises in the plot, which follows H&G as they fight and destroy evil witches while wondering if there might not be a few good, Glinda types lurking about. Feels like a first film in a franchise that's meant to set up the main characters and conflicts, which can then be fleshed out in sequels. But those sequels will never happen.